I loved how this session turned out and I had so much fun styling it myself! 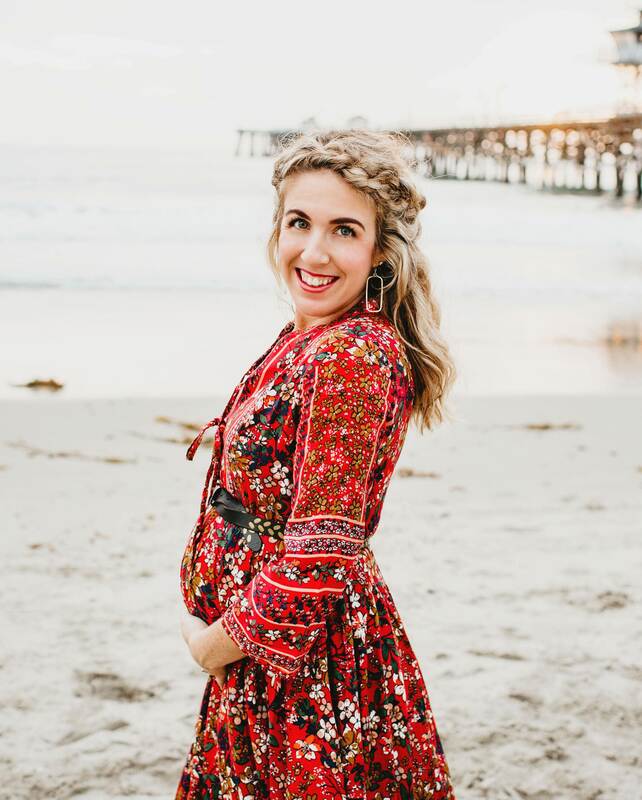 Styling your own photo session may seem daunting, but following these simple steps will help you create a gorgeous and lovely aesthetic for your maternity photos. Today is my 280th day and 40th week being pregnant – and at this point, I’m tired of waiting for her to show up! Like, girl what’s taking so long?! To which John said, “she’s just likes to sleep in, like me” (John could sleep in for days if he wanted to) which could be true, however, I’m really crossing my fingers for her to show up on 4th of July. Because, nothing beats birthday fireworks every year. 🙂 I’ve tried everything to get her to come on time – spicy foods (sriracha on everything), pillow talk, greasy pizza, long walks, 2 membrane sweeps now (um, OUCH), dancing around the house…but she’s apparently perfectly content being in my belly for longer than 40 weeks! So since today is her due date and she hasn’t come yet John and I decided to take advantage of the last bit of alone time and went to the beach, got ice cream, and now we’re grilling up some fried egg avocado burgers for dinner for some pre-4th festivities. *I was 30 weeks at the time I wrote this post, but now I’m at 32 weeks so I have some catching up to do! Nothing much has changed minus her size (which is currently at the size of a cabbage), and that my back soreness has only increased..we are down to a single digit countdown with only 8 more weeks to go until her due date and 4 more weeks of work until I take maternity leave!